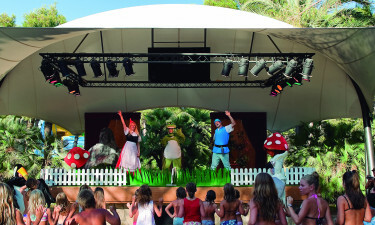 Resort Playa Montroig - Book your familie holiday in Costa Dorada now. This luxury camping site is found within the Catalonia region of Spain. Offering an unbelievable climate, a plethora of modern amenities and access to local beaches, this location can provide the perfect camping holiday. Contact LuxCamp to learn more. Why Should My Family and I Choose This Playa Montroig for Our Next Luxury Camping Destination? One of the reasons that countless tourists choose this holiday camping site is that every modern convenience is included within the standard pricing package. Visitors can enjoy wireless Internet, 120 individual washing cubicles, a laundrette, a gas bottle exchange and direct power connections to all mobile homes. These and other amenities can allow any camping holiday to embrace all of the benefits that are normally taken for granted. Anyone who has been hoping to experience the cerulean blue waters of the Mediterranean Sea will certainly be impressed with the location of this luxury camping site. Situated only 12 kilometres from Mare de Deu de la Roca National Park and only a short walk from the coastline, visitors are able to partake in truly serene maritime experiences. These levels of camping luxury are enhanced due to the fact that Playa Montroig is found within the province of Tarragona. The temperatures are quite agreeable throughout the year; even during the winter months. There are many families that will desire a holiday camping site which is able to address the needs of young children. 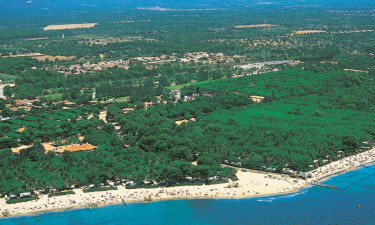 Playa Montroig Camping Resort offers a number of different options. Children's entertainment is a standard feature alongside indoor play facilities (on the rare rainy days) and even an unforgettable petting zoo. Those with infants will be pleased to know that this site offers baby changing facilities within only moments of the mobile homes. Camping in luxury is never an issue when visiting here. 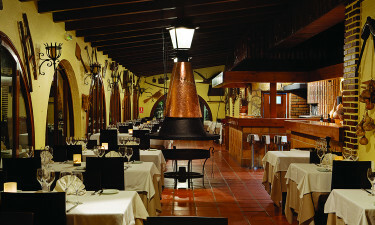 Playa Montroig Camping Resort provides on-site eateries and bars for those who would rather stay close to their pitch. 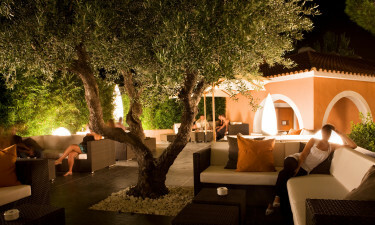 The Espai Grille Terrace is the most notable; its outside restaurant and lounge offering amazing views of the night sky and a truly fresh dining experience. A bar within this establishment is likewise able to serve up a tasty cocktail or a pint of international beer while one is waiting for his or her meal.